Yesterday I mentioned I'd read The Anatomy of Story: 22 Steps to Becoming a Master Storyteller by John Truby. 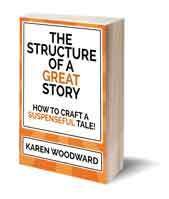 "To sum up this part of the writing process [developing a setting]: you start with a simple story line (the seven steps) and a set of characters. 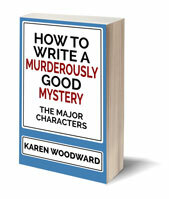 You then create the exterior forms and spaces that express these story elements, and these forms and spaces have the desired effect in the hearts and minds of your audience." Today, though, let's get back on track and talk about how setting can introduce, and increase, story conflict. 3. The setting of a story can be used to introduce, and increase, conflict. Let's look at what conflict is. Simply stated, I think of conflict as what results when a character's efforts to attain a goal are opposed/frustrated. Many times what opposes a character's efforts to attain their goal is another character. But the environment can do this as well. For instance, perhaps your protagonist, Hank, is a teenager and his goal is to win the prestigious Sunnyside Surfing Competition but he can't win unless he trains for it. Big problem! Hanks family recently moved from the sunny, sandy, beaches of Sunnyside to Montreal ... and it's winter! Hank can't train for the competition so he's sure to lose. That sets up a problem, an obstacle Hank must solve, and all because of a change of setting. Many times I forget to take advantage of opportunities to introduce, or increase, conflict the setting could provide. Have you ever watched Mr. Monk? That show was fabulous at using setting to introduce conflict. In the third episode of season one, Monk is introduced to the police commissioner--an important person and someone he will have to impress with his detective skills if he is ever to get back on the force, and getting back on the force is Monk's great overriding goal. Monk's desire: to be on his best behavior, appear normal, and impress the man. Problem/obstacle/complication: the commissioner has a few crumbs on his jacket. Conflict: Monk wants to brush the crumbs off but he knows that's not a good idea. Outcome: Monk can't help himself and brushes the crumbs off anyway. Here the crumbs were used to provoke an action that not only shows Monk's obsessive-compulsive disorder but it also introduces conflict. Here's another example, one you've probably seen countless times in movies and on TV: a waiter stumbles, spilling scalding coffee into the protagonist's lap when he needs to be on his best behavior. How he handles this situation will reveal his/her character and could introduce conflict. Does he turn it into a joke? Is he gracious? Arrogant? Condescending? If it happens just before a job interview how does he explain the stain to the interviewer? Does it fluster him? Does he shrug it off? Does it make him so distracted he can't complete the interview? Does it make him so angry he makes a terrible impression? The trick is to always be on the lookout for opportunities to use setting to introduce, or increase, conflict. Here's another example. Let's say we're writing a horror story. What mood do we wish to evoke in our readers? We wish to horrify them. What evokes horror? In a sense, fear is acknowledgement of, or recognition of, the imminence of danger. - Recognition of the imminence of death. Your death as well as the deaths of those you love. - Recognition of the imminence of pain. - Recognition of the imminence of the unknown. - Recognition of the imminence of confinement, of imprisonment. Of being at the mercy of an imaginative and well-equipped sadist. - Recognition of the imminence of disillusionment. The imminence of destructive revelation. What sort of setting would help communicate these sort of feelings/thoughts to the reader? The dark hides things. It makes the familiar alien. It manufactures the unknown. The isolation of the hero means no outside help. They are stranded, all alone. If the hero wins and escapes the horrors, they will have to do it relying on only what is within them. I think the best monsters--(for me) the scariest--are normal things that have been twisted in some way. I haven't been the same since I watched Pet Sematary! For a moment, you feel paralysed; you can’t take your eyes off of your daughter. The covers behind you begin to shift. By the way, that's also an excellent use of the seldom used second person POV! I thought that piece of microfiction nicely illustrated how important setting is to evoking emotion. The setting used in the above story is familiar. Intimate. Would the story have the same impact if it was morning, rather than the witching hour, and the exchange took place while the child's parents were busy preparing for work? I don't think so. Surprise and disorientation are used to generate a feeling of horror and, often, setting is instrumental in this. The dark, the isolation, the monster under the bed. Think of the last part of Alien when Sigourney Weaver makes her way to the shuttle, running down the twisting hallways, expecting danger at every turn. For me, it was the most suspenseful part of the movie. By the way, IMHO, a movie that did a terrific job of using setting to communicate mood, and using both mood and setting to demonstrate character, was Pi. Okay, that's it for now. Good writing! 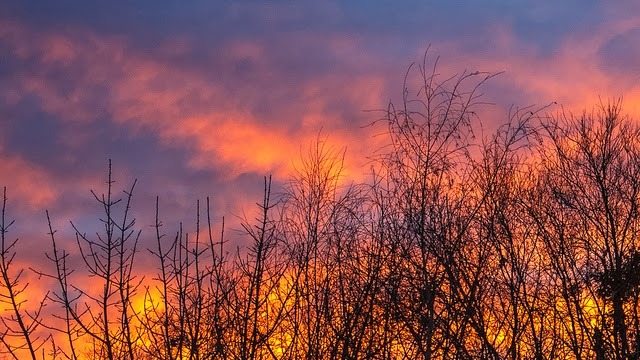 Photo credit: "2014-006 blue monday morning" by Robert Couse-Baker under Creative Commons Attribution 2.0.